The writer of internationally acclaimed films ‘Salabudha’ and ‘Aadim Bichar’ Sri Kapileswar Prashad Mohapatra is no more. He left for heavenly abode on April 13, 2019. His last rites were performed at his native place Lehedi on Tuesday. 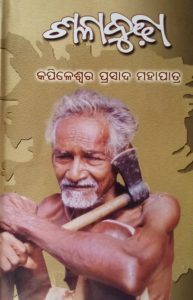 A native of Lehedi in Subarnapur of Odisha the visionary is the father of renowned Odia film director Sabyasachi Mohapatra. Born on August 7, 1931, in Lehedi to father late Gangadhar Mohapatra and mother late Bishnupriya Mohapatra the awarded writer is the founder of Chetna Trust that is dedicated to promoting art, culture, and heritage of Odisha. Besides, the Trust has also helped a large number of needy people. At present 108 people are getting old age pension from Chetna Trust. Kapileswar Mohapatra has a number of popular books to his credit. He is the writer of Sala Budha, Sala Budha Ra Natya Darshan, Sala Budha Ra Kathani, Sala Budha Ra Geeta Darshan and Sala Budha Ra Shri Mandira Darshan among others. A teacher by profession Mahapatra’s wife was Late Bishnupriya Devi. He has six sons, all of whom are known names in the Bollywood and Ollywood film industries. 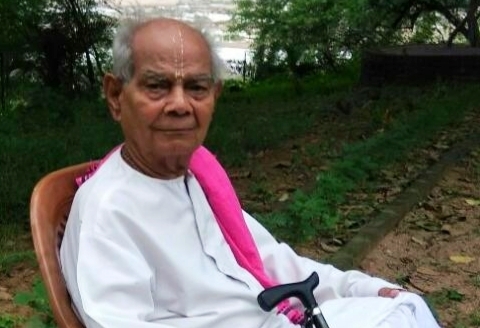 Kapileswar Mohapatra is the founder of Gangadhar Ayurvedic Hospital, Chetana Library and an old age home. Services in these institutions are rendered free of cost. He also published a magazine, ‘Chetana Barta’ for the preservation and development of language, art, and culture.